The Dimplex Revillusion 25-In Plug-in Electric Fireplace Log Set creates a highly believable artificial flame that gives the illusion of a real wood burning fire. Gone are the days of lugging in wood, breathing in smoke or worrying about hot flames and coals. 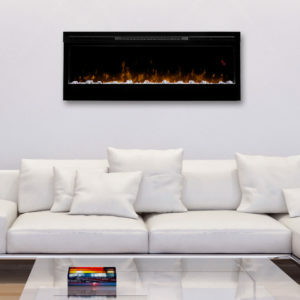 Simply place this technologically advanced insert into your fireplace, plug in and turn it on. 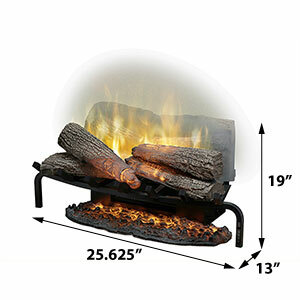 You’ll be instantly amazed as the life-like, resin cast log set & glowing ember bed come to life with inner glowing LED lights that pulsate for a smoldering effect. Bright and vibrant flame effects are projected onto the patented Mirage flame panel that not only reflects the flames and log set for an enhanced visual display, but also allows you to see through to the back of your fireplace for added depth and realism. 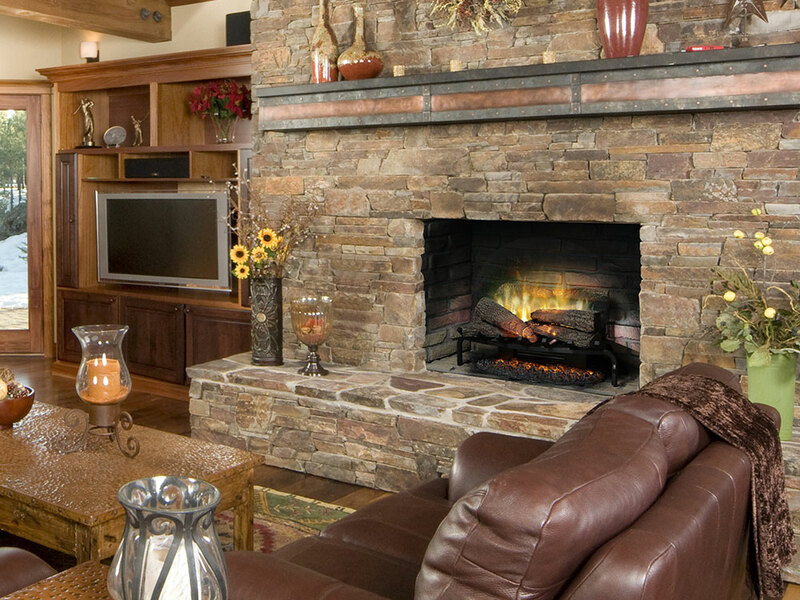 Additional lighting options light up the areas around the unit to bring highlight to the walls of your fireplace. The included multi-function remote control allows you to adjust the flame brightness level, ambient lighting and select heat settings. If you’re looking to create an even more believable effect, consider painting your fire brick black, add coals around the insert, or place a fireplace screen in front. The unit also boasts a powerful 5,118 BTU heater capable of producing supplemental warmth for rooms up to 400 Sq. Ft. You’ll no longer have to deal with the drafty chill of winter, thanks to this effective & efficient electric log set. For year round enjoyment, the heater can be turned off, while you simply enjoy the soothing and ambient glow of the flame effects.